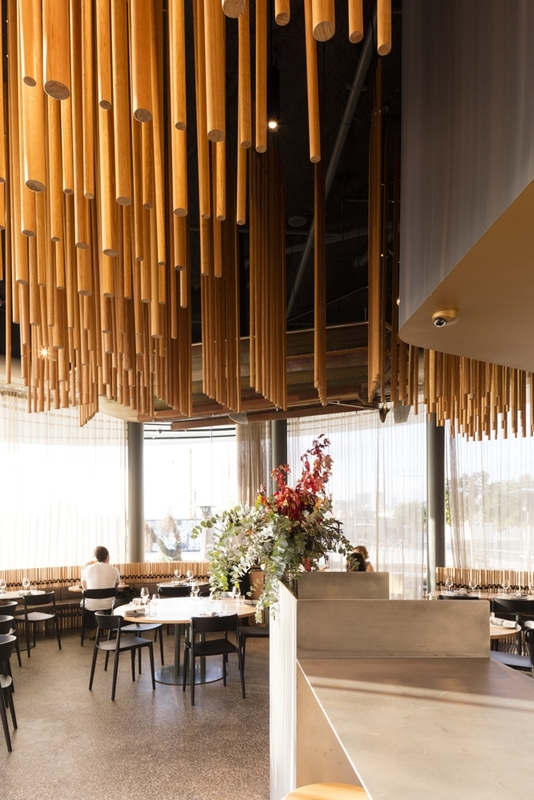 Cirrus Dining is the new venture of Nick Hildebrant & Brent Savage of Sydney’s Bentley, Monopole & Yellow fame. 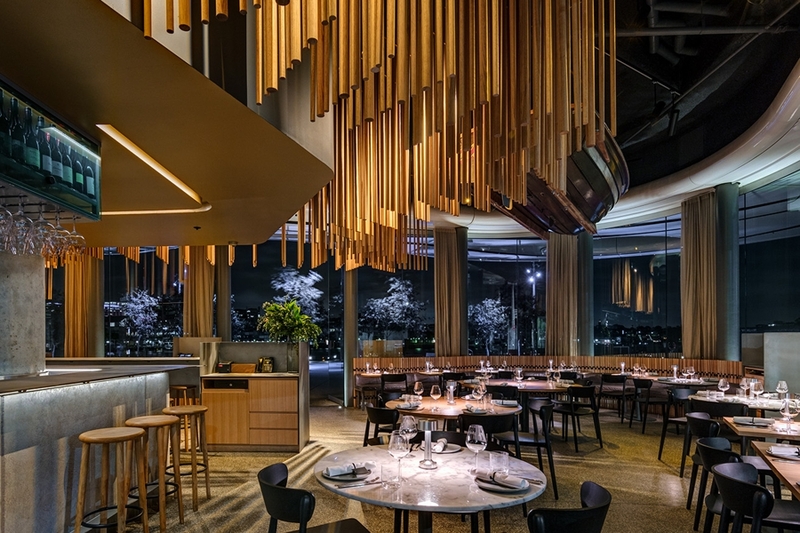 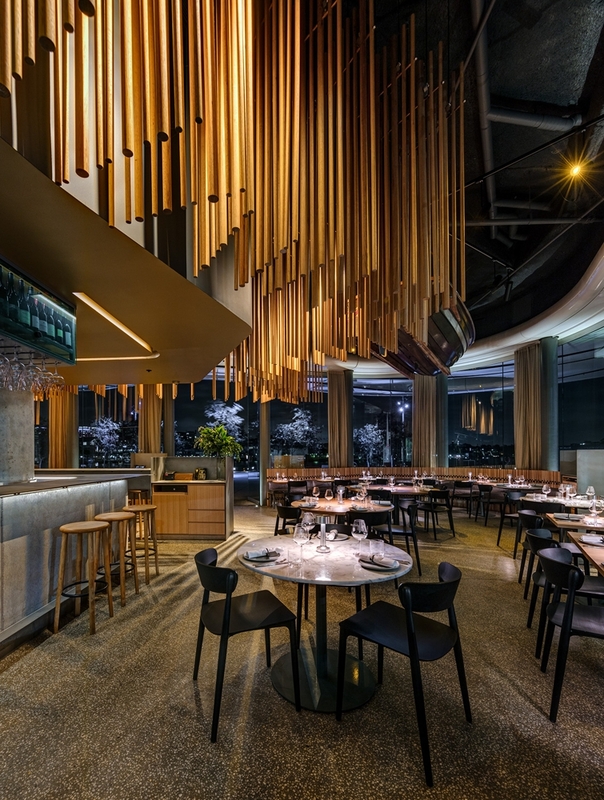 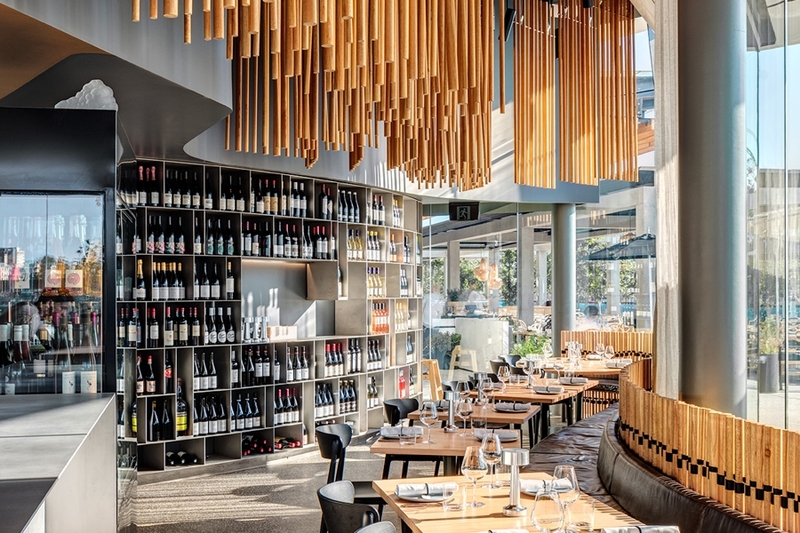 Their vision on this prime waterfront site was to create a seafood restaurant underpinned by a commitment to excellence in all aspects of product sourcing and preparation – starting with sustainable fishing practices. 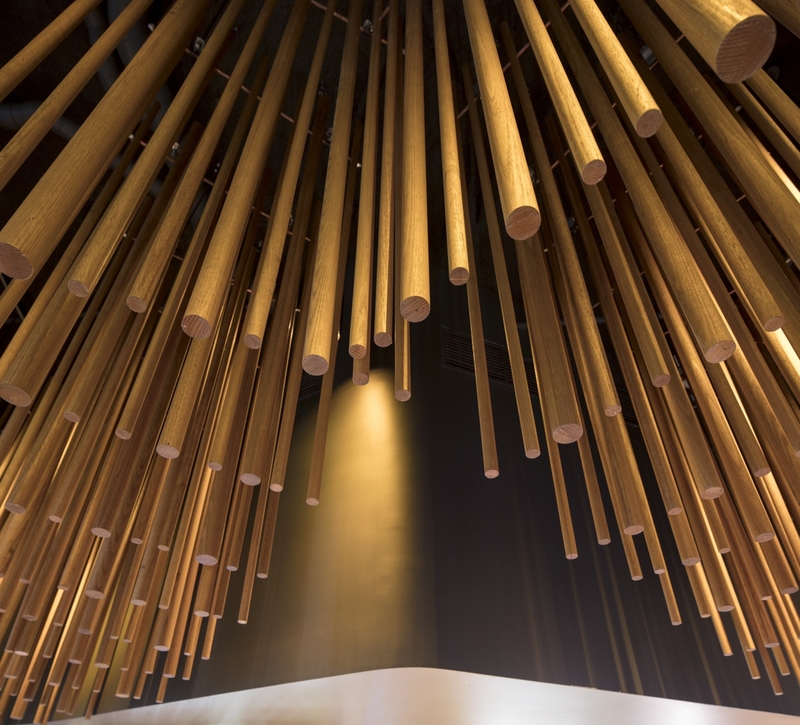 The seriousness of the endeavour is coupled with a desire to create an approachable and casual environment. 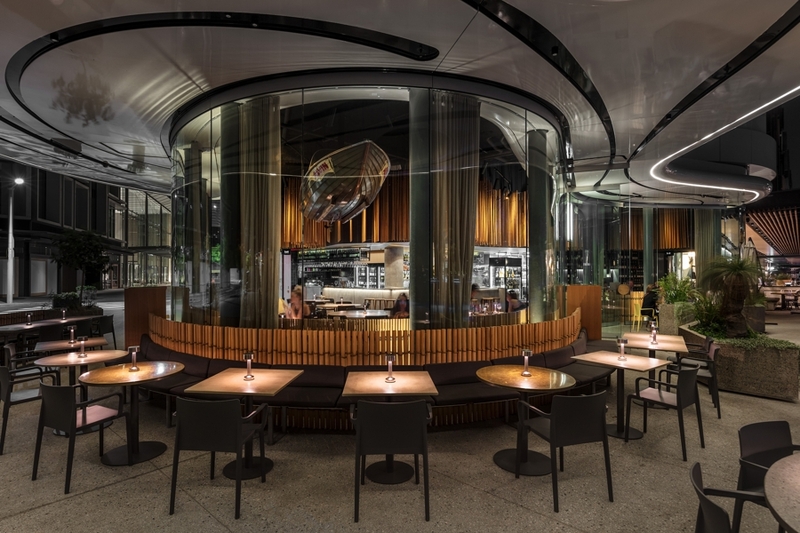 Cirrus sits at the base of a complex curvilinear building that meets the ground with a wavy, full-height glass façade. 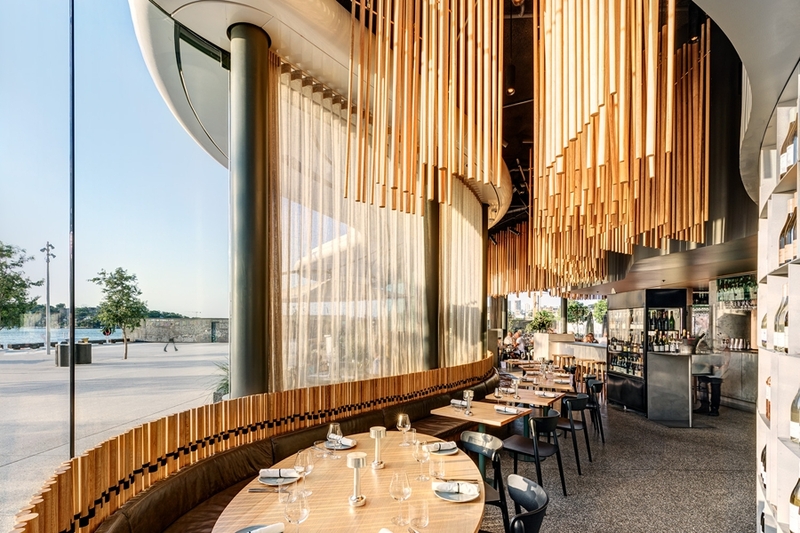 The design process therefore focused less on interior design elements and focused more on the resolution of organizational challenges – an exercise in urban place-making rather than detailed special effects. 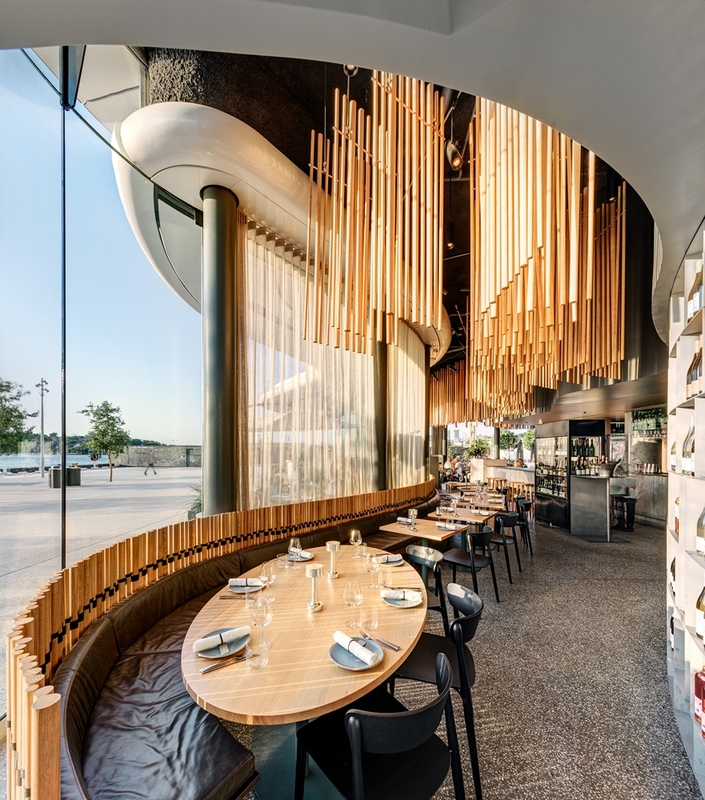 The literal connection to the water through the glass façade was reinforced by a material palette that excluded bold colour and in turn allows sunrises and sunsets to dominate the spatial experience. 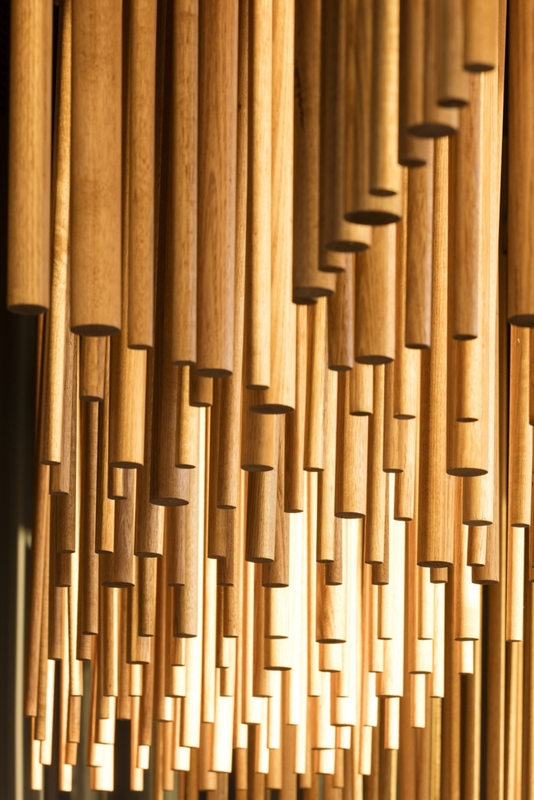 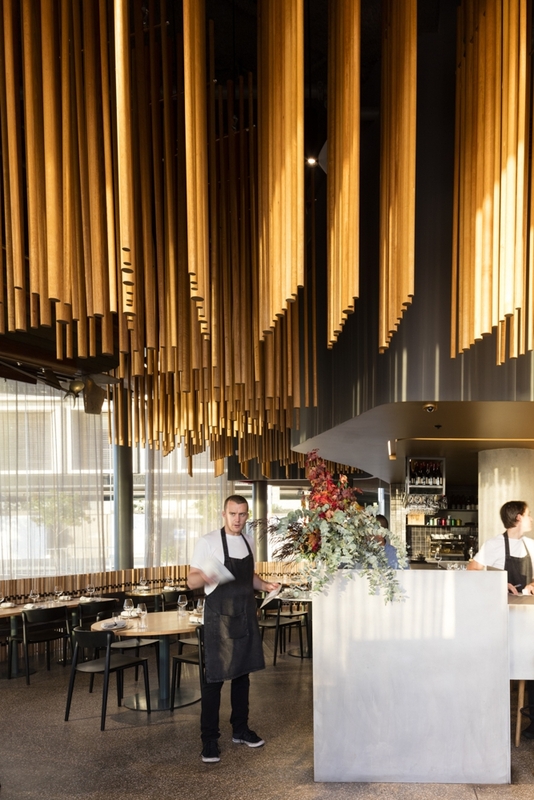 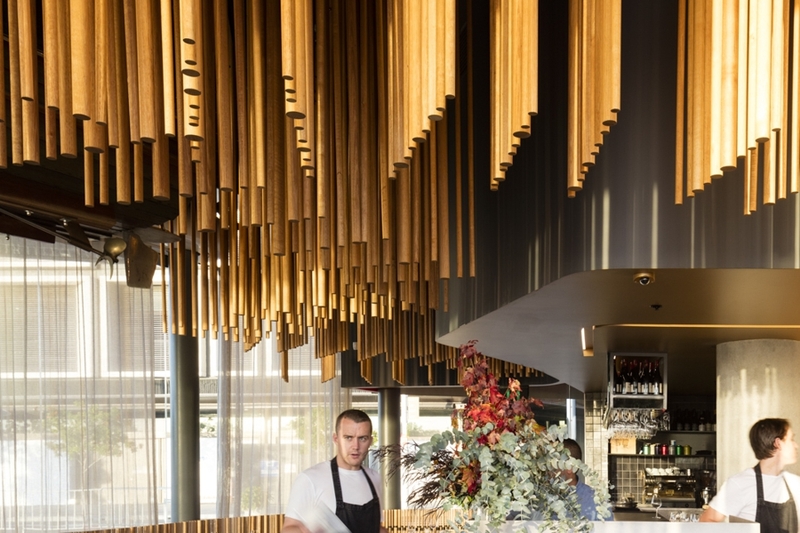 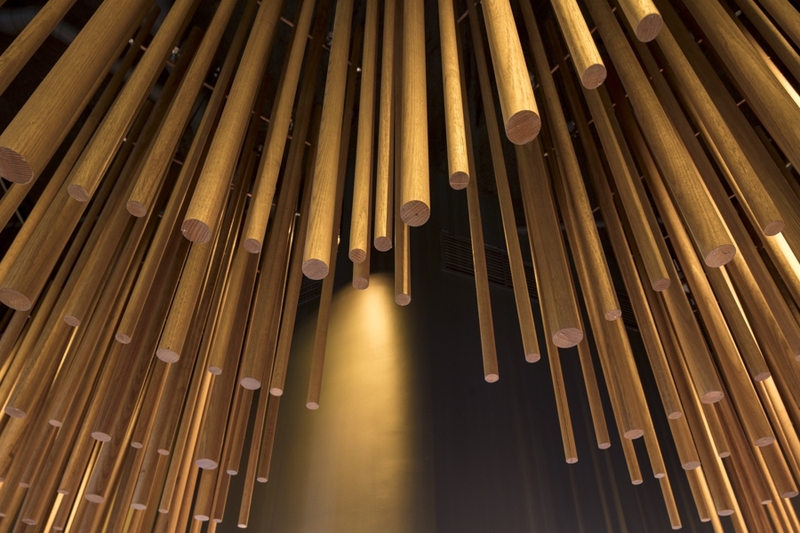 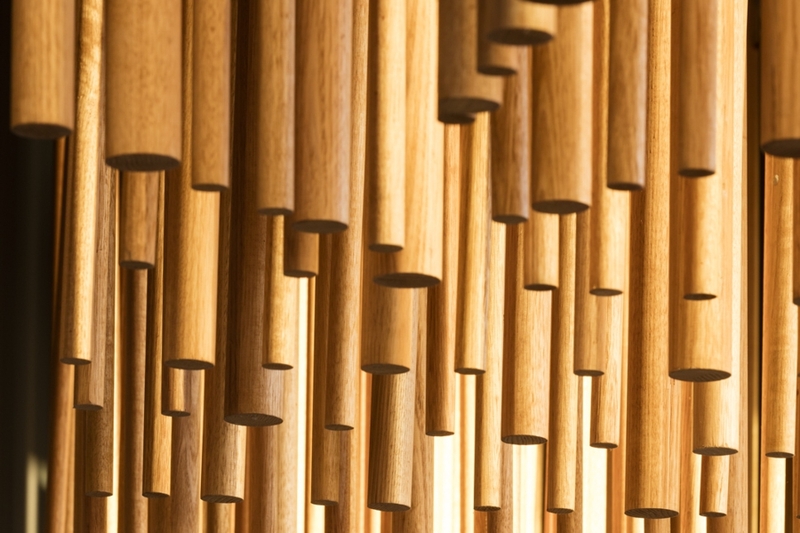 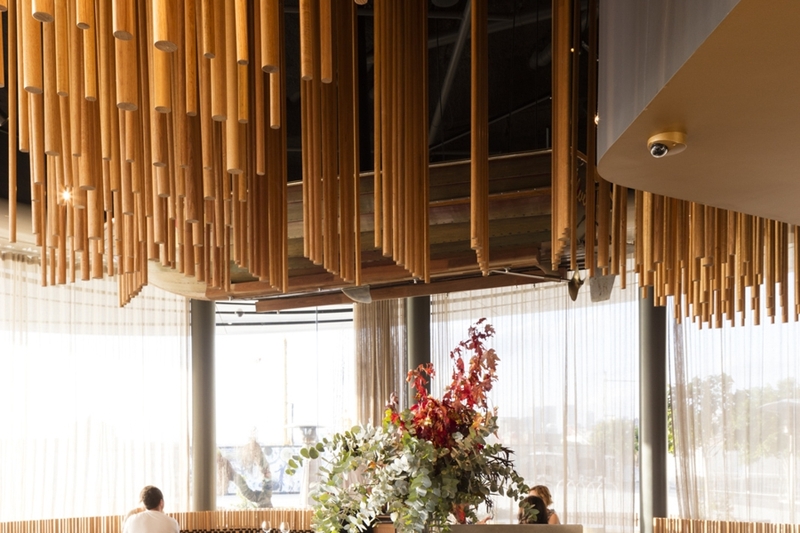 The key interior element – a hanging timber screen – is the device through which these issues of setting, atmosphere and organization are resolved. 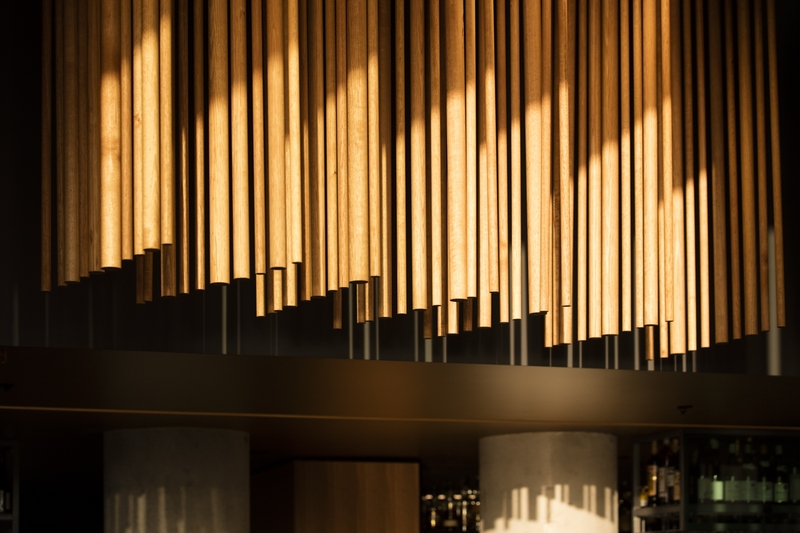 The high public visibility of the restaurant from all areas both within and without required careful consideration of detailing and selected finishes. 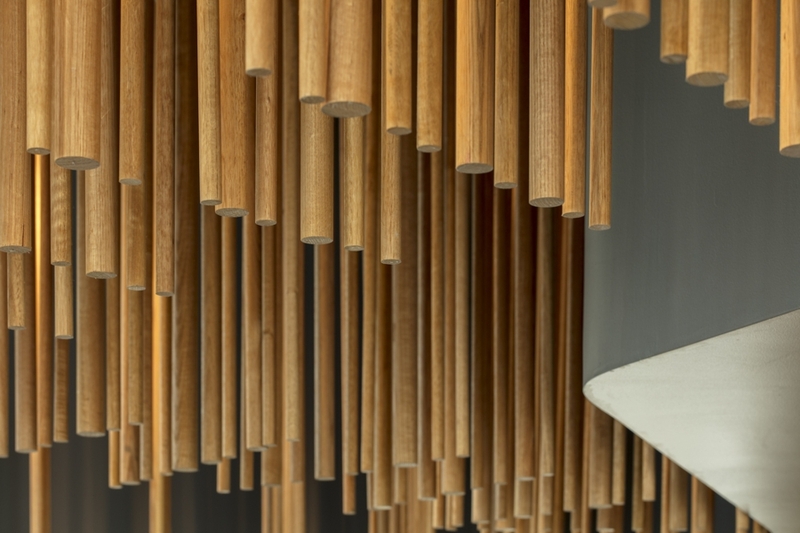 The materials palette was carefully selected with sustainability and durability in mind. 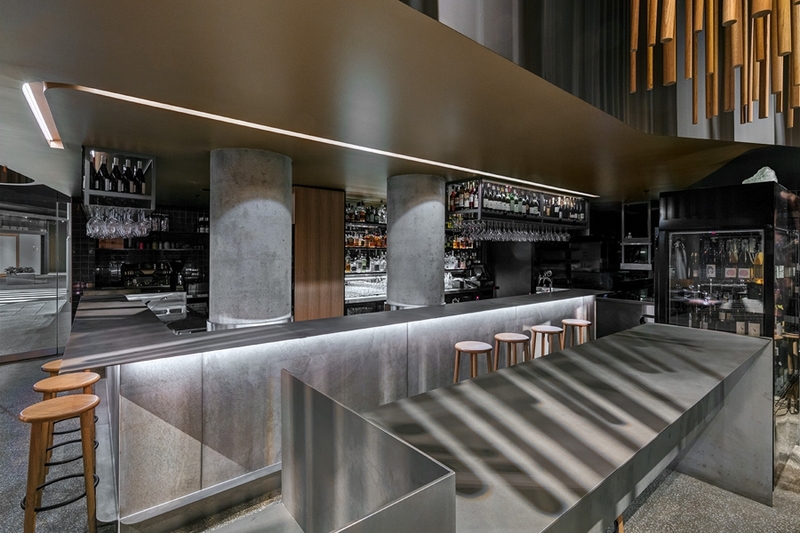 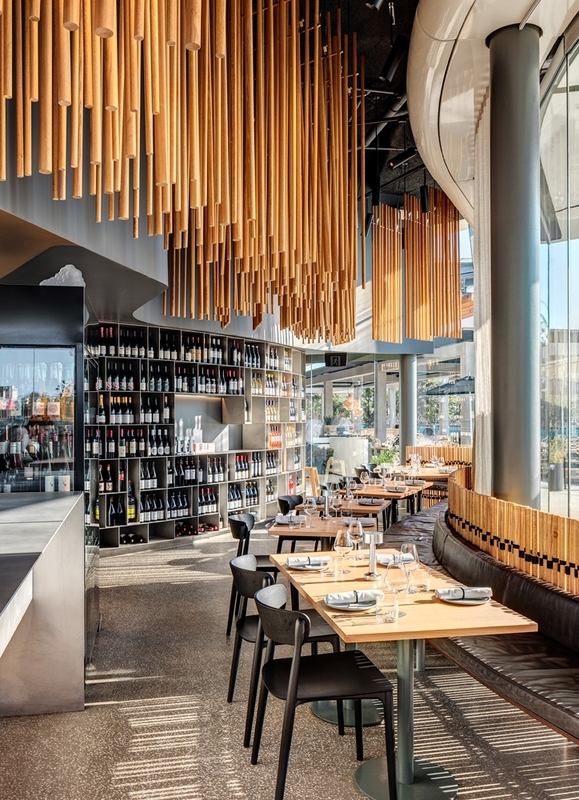 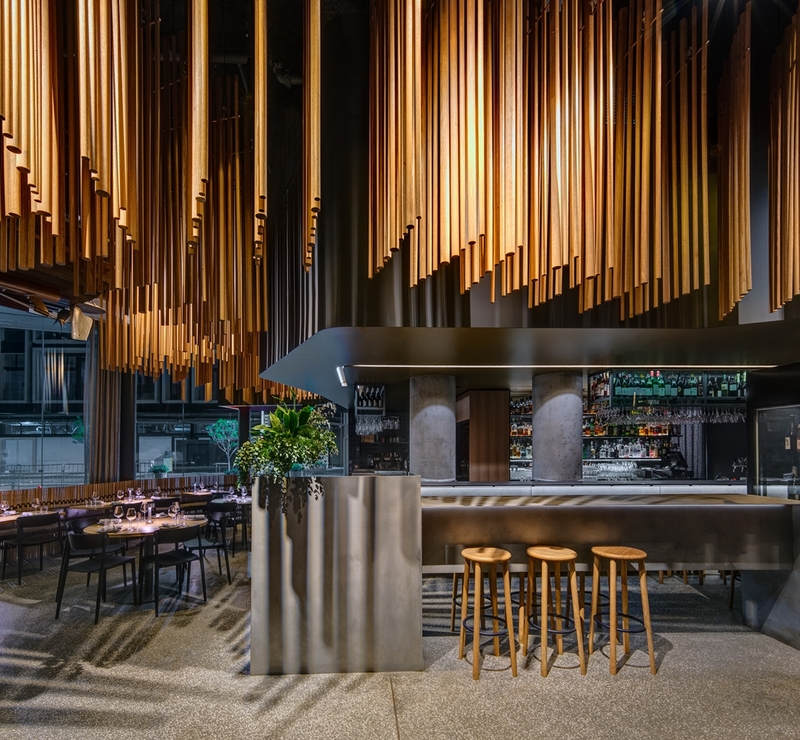 Uniquely crafted materials such as woven leather and sand blasted steel echo the skill and creativity of the restaurant team whose work is showcased via the exposed/open kitchen. 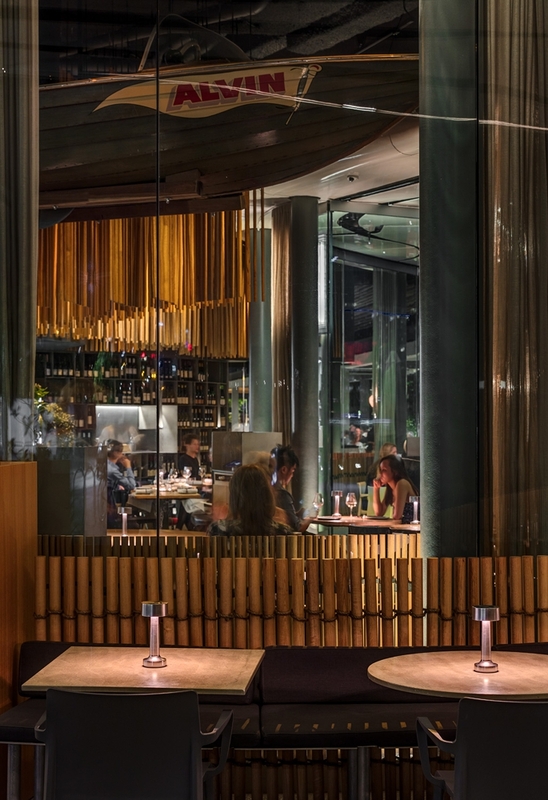 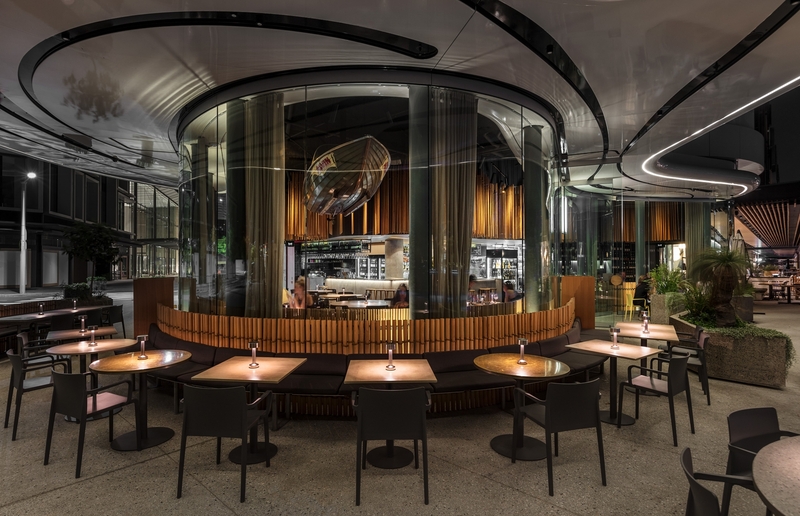 The uncompromising glass façade is buffered by banquettes that hug the perimeter curvilinear space inside and out, expanding the dining capacity and spatial experience at each sitting. 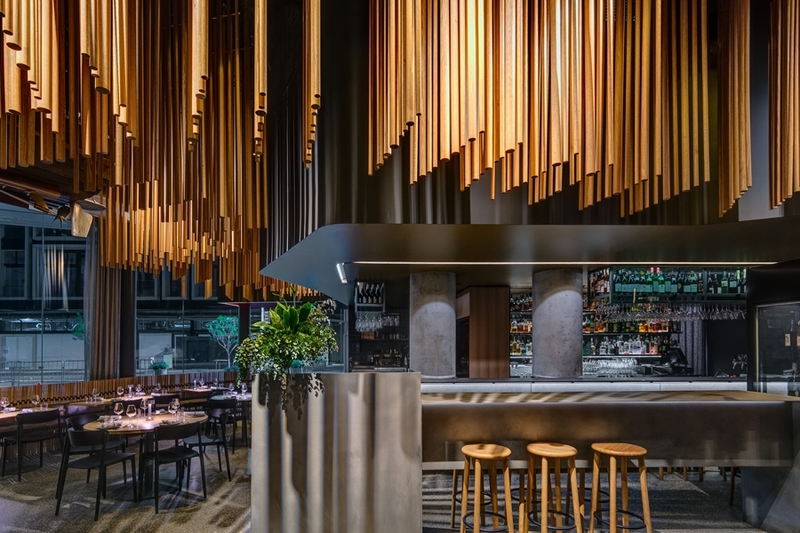 The project was a full collaboration with Pascale Gomes Mcnabb Design. 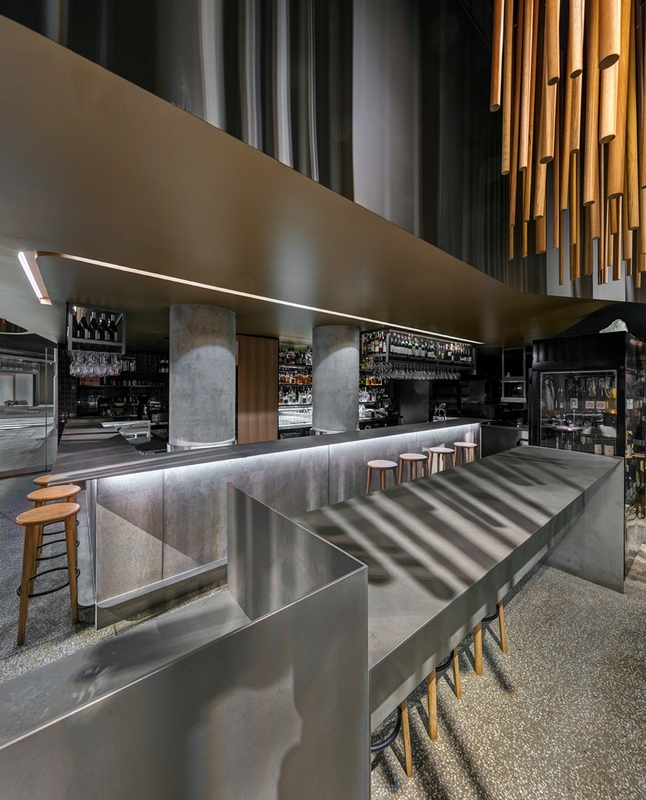 Photographs by Murray Fredericks and Brett Boardman.